StashBrandon Krieg, cofounder and CEO of Stash. “We said, ‘If that’s happening with a person who knows about this stuff, what is everybody else going through? '” Krieg told Business Insider. Krieg and Robinson started asking around, gauging how people were saving their money. But the answer to the question “Do you invest?” was always a “no,” with the reason being that people just didn’t know how or they thought it was something only rich people could do. Krieg and Robinson realised then that they had an opportunity to help. 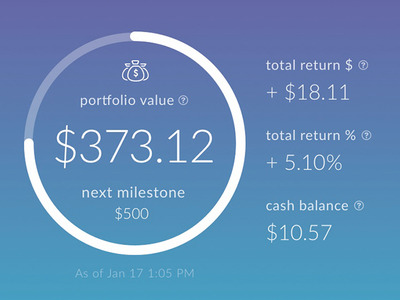 The founded Stash, an app that lets you build a portfolio and start investing with only $US5, plus it teaches you the ins and outs of the stock market. The company launched in October 2015 and just closed on a $US40 million Series C led by Coatue Management. 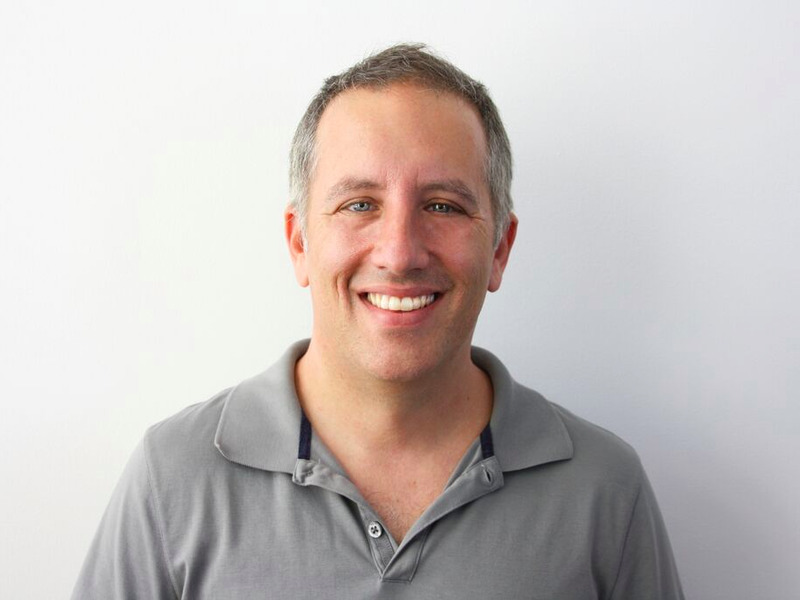 That brings Stash’s total funding to $US78 million and values the New York-based startup at $US240 million, according to a person familiar with the company. Stash makes money by charging a subscription fee of $US1 per month for accounts with less than $US5,000. When an account has more than $US5,000, Stash charges a fee of 0.25% fee. And the company is growing quickly: Stash now has about 850,000 customers nationwide. Krieg and Robinson knew that in order for Stash to catch on, they’d need to make the barrier of entry low — very low. Getting started with Stash requires only $US5 and about five minutes to set up an account. Stash‘The biggest problem I see right now is people doing nothing,’ Krieg said. 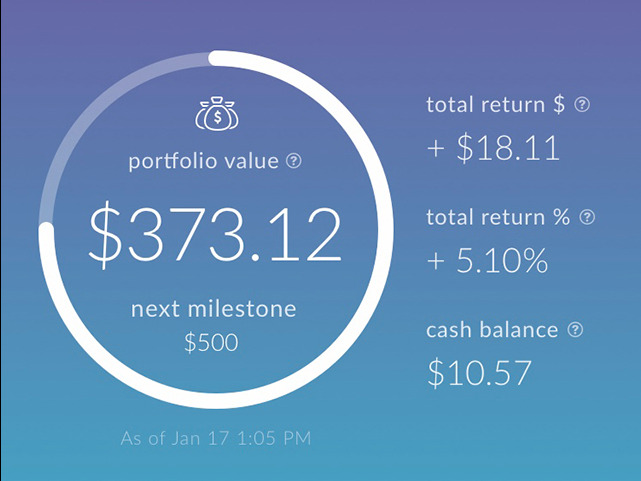 Once you get started with Stash, the app evaluates how much risk you should be taking based on factors like your income and your assets. 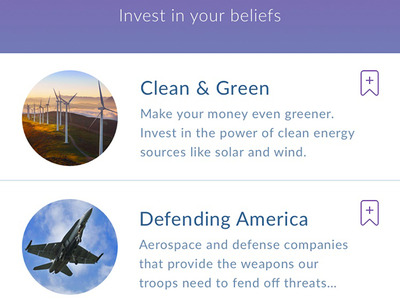 Then, it recommends investments based on what you’ve told the app about your finances. 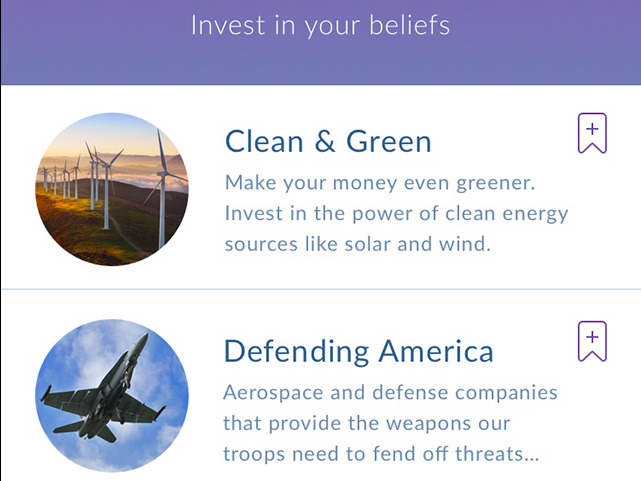 You can also choose between a handful of packages based on what you’re passionate about, like companies that supply parts to the military (Boeing, Lockheed Martin), companies that champion LGBTQ rights (Twitter, Gap, Time), or clean-energy companies (First Solar, Vestas Wind Systems). There’s also an education component of the app, which Stash hopes to expand with its latest round of funding. The “Learn” tab will teach you things like the difference between index funds and mutual funds, or provide a glossary of investing terms. Krieg said Stash’s average customer is around the age of 29 and make about $US45,000 per year, typically someone who’s “hitting those critical life points” like starting a family or buying a house. While 29 falls firmly in the millennial generation — which is often critiqued for being bad at saving and investing — Krieg says the app is proof millennials do care, and that they shouldn’t get all the blame.